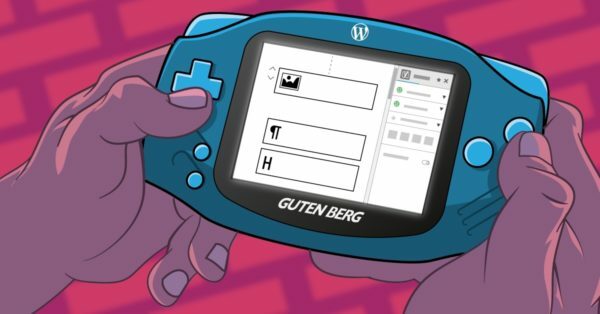 In our previous post on how to theme our HowTo content block for Gutenberg, I explained the HTML structure of the block. I walked you through a few approaches to styling the generated block to make it blend in with your theme. 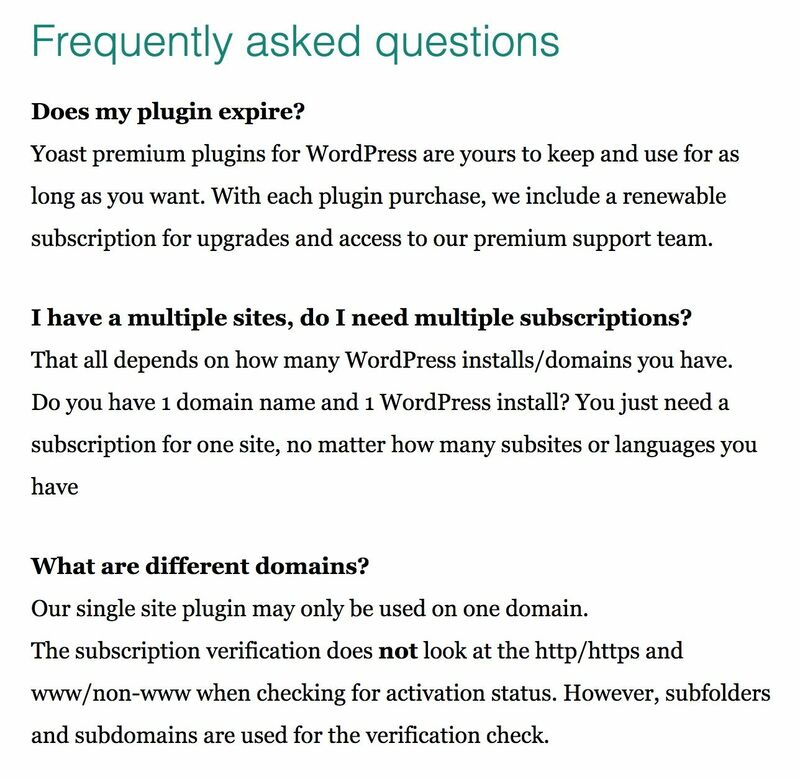 With the release of Yoast 8.2 we've not only included the HowTo structured data block, but also the so-called FAQ structured data block. If you are new to structured data, read all about it here. 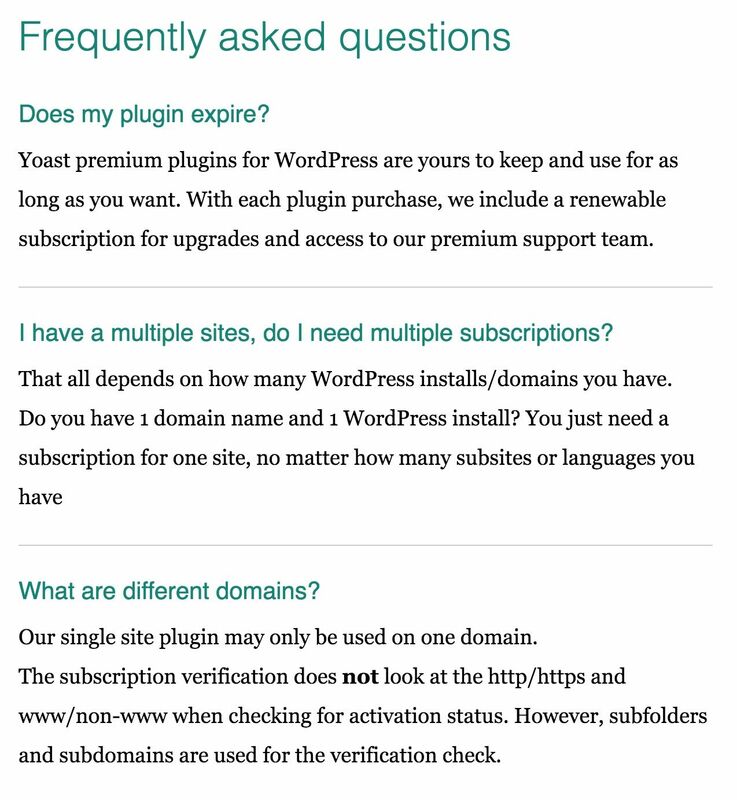 With our FAQ block, you can now, very easily, add a set of questions (and corresponding answers) to a post or page. This is based on Schema.org's 'Question' format, so search engines actually understand that your post or page addresses a question, as posed by a user. And in the future, Google will show your post or page as such in its search results. <h2>tag and emphasizing the question by wrapping it inside a <strong> tag. Besides that, the block will inherit the styling you have in place for these standard HTML elements (see the example below). If you want to take the styling of the block a little further and actually customize it, then read on! If you want to use your own custom class name, you can set one under ‘Advanced’ in the ‘Block’ section of the Gutenberg sidebar. As you can see in the example below, we’ve added a custom class name (‘custom-class’) to the block under ‘Advanced’. This class name will be added to the block element itself. 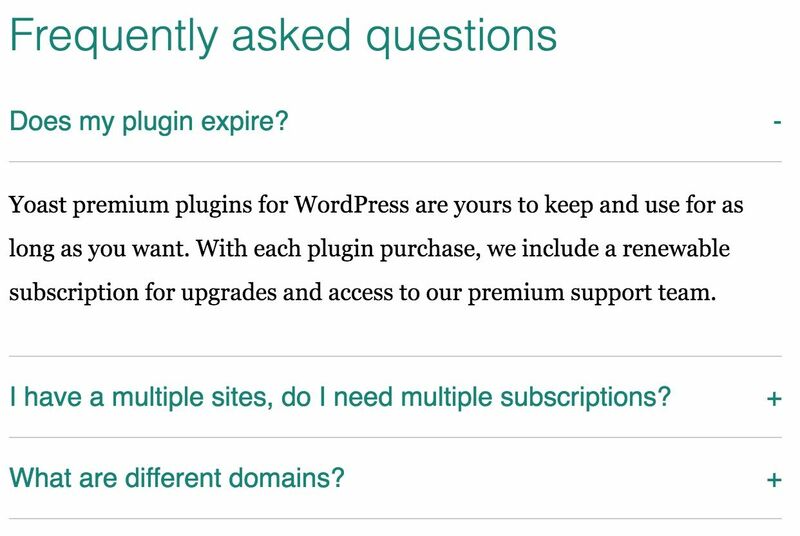 An FAQ page on your website can be as simple as the default output of our FAQ content block; a question in bold with the answer underneath. But if your list with addressed questions is quite extensive, such a page can become cluttered quickly. We want to leave you with a few quick suggestions that might help you set up your page. Users will most likely scan your page, searching for a relevant question they need answering. Therefore it is important to set each question (and answer) apart and to emphasize the question. Below is a (very) quick suggestion on how to achieve this. We are seeing more and more CSS only solutions. Especially CodePen is a great place to check out ideas that others came up with. Keep in mind to check browser support though. Some of these solutions can be somewhat experimental! Of course, there are loads of different solutions fathomable on how to go about this. If you have any suggestion, from a design - or technical perspective, we encourage you to share them in the comments! 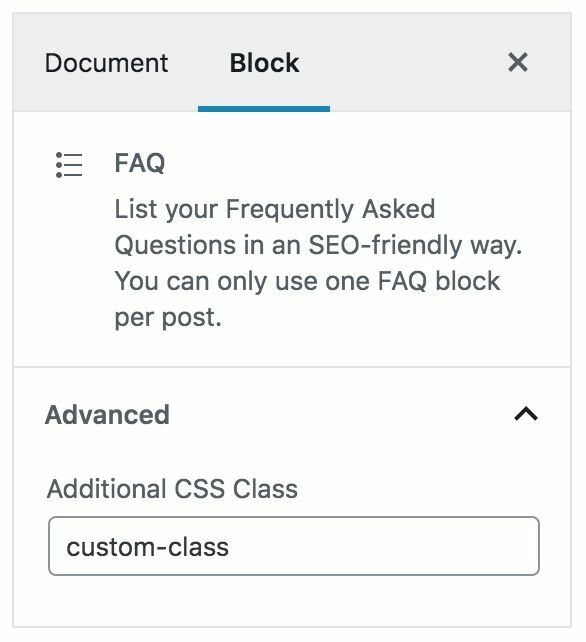 Do you have questions about this specific content block, Gutenberg in general or about CSS and HTML in general; feel free to leave a comment as well! Is it necessary to have a FAQ for a information based blog site? Like my blog is basically serving informations.